HappyAndy wrote: In reply to crankwalk: Cool thread Crankwalk. 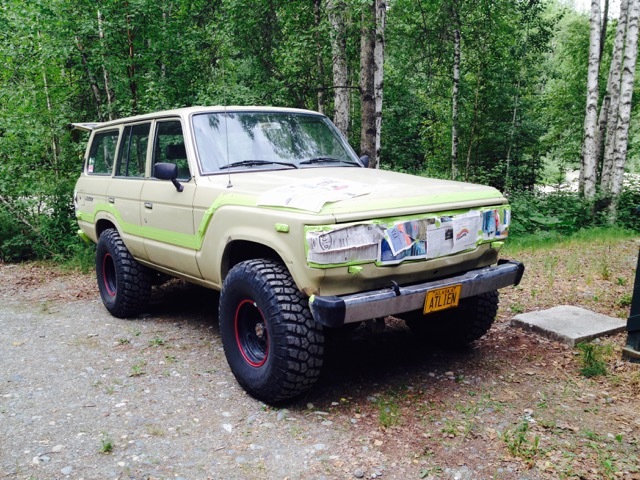 My brother lives/works in AK, and keeps trying to lure me up there. How do you cope with the short daylight hours in the winter? That would bother me much much more than the cold. The daylight doesn't bother me much really. It all balances out in the summer with 20 hours of light. When the snow is on the ground, its much brighter and helps a ton. It is cold though and compared to the lower 48 lasts much longer. It's not that its that much worse, its just that its half the year. If you like winter outdoor activities however, its paradise. Personally, when it is winter I do winter stuff all out and likewise for summer. I should probably take a vitamin D supplement. Instead we just take all our vacations to sunny warm places in the winter time and hope that is good enough. 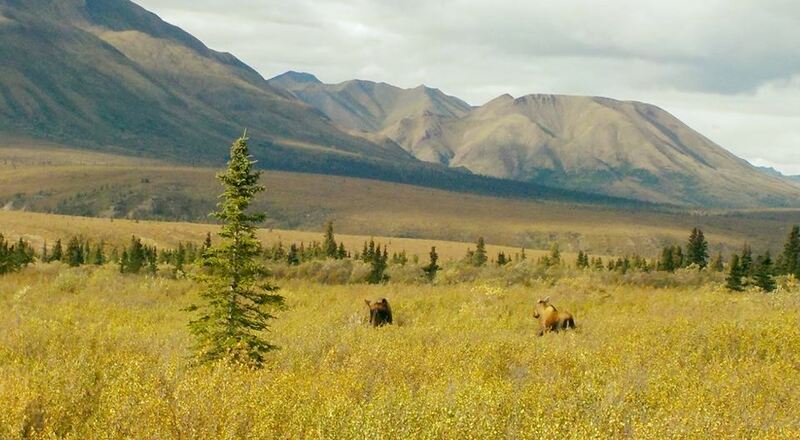 Spring is here in southcentral Alaska. Mid 40s to low 50s even on some days during the day. 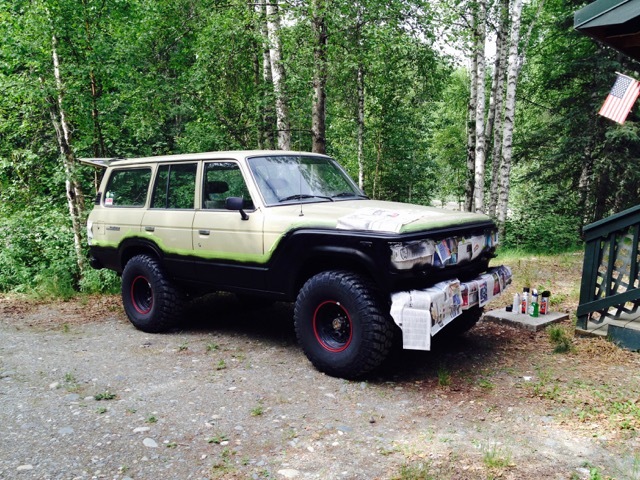 I'm trying to get a few more things nailed down on the Cruiser before summer comes. I have developed a loud clanging every once in a while when I put the driveline under load. I'm thinking its the deleted EGR return tube on the exhaust hitting the frame but maybe a trans mount or something too. Its coming from the middle of the truck. Oil cooler is leaking and when the dipstick is at the top, it's worse. When the oil is between low and halfway, it tends to leak way less. With a 8.3 qt capacity, I'm not worried about it too much. With warmer weather creeping in, i'm looking forward to bedlining the lower half of the truck. 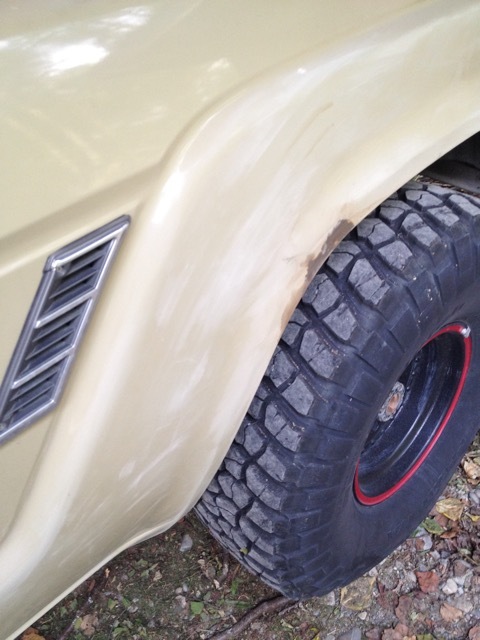 These big tires are beating up the paint a little and I'm kind of a sucker for two-tone looks anyway. 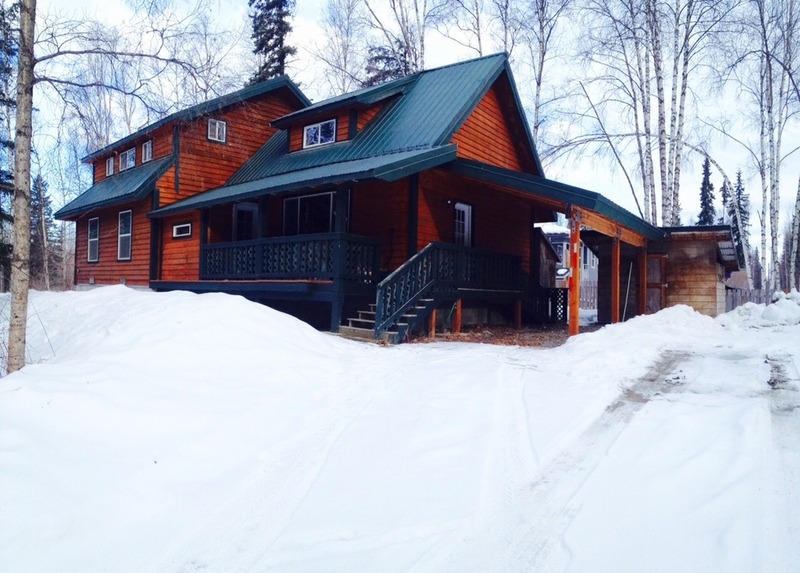 In other exciting news, we bought a cabin/house about 2 hours north of Anchorage in Talkeetna. 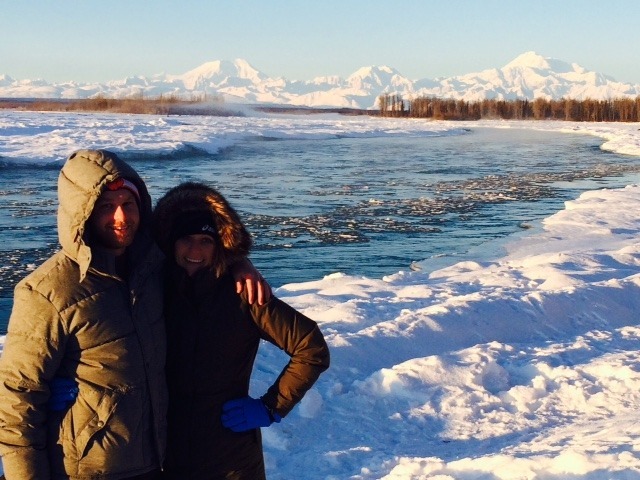 Views of Denali in the back and on the river. Pretty amped to have it for the summer time. Grilling out, spot for the tools again and just to own a little scrap of this place. 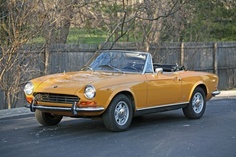 Going back home to Oakwood, GA in a week to drive my 240Z to the Mitty. Once I feel 70s and 80s again, I might melt. 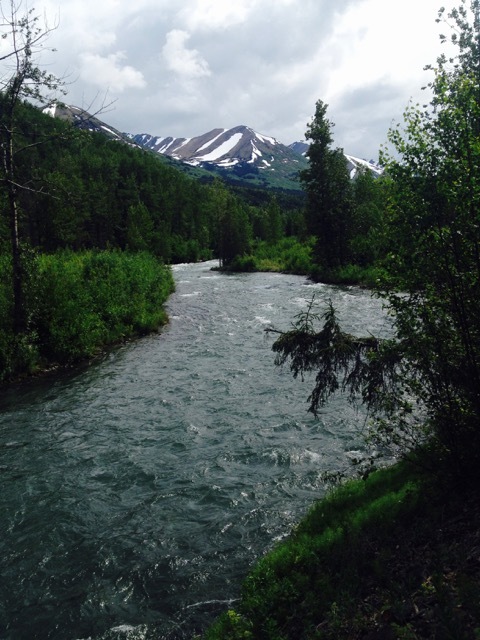 Talkeetna is a beautiful area. 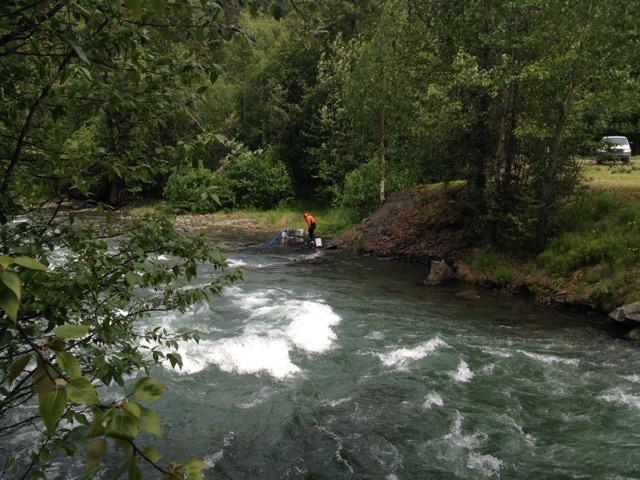 We used it as a staging area for mountain rescue training with our helicopters when I was stationed at Fairbanks. Don't know if they still do that. 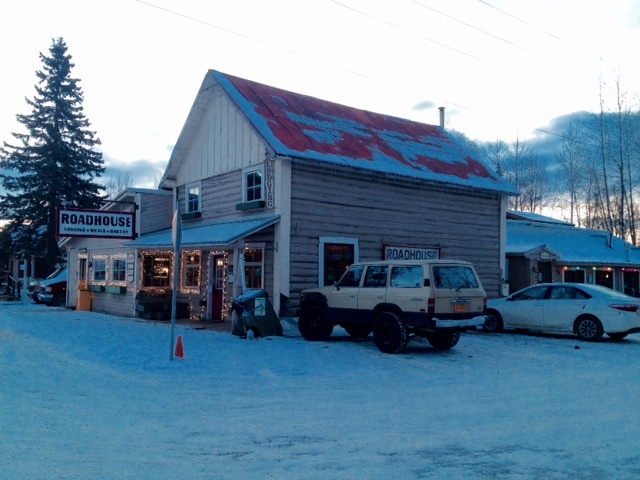 wlkelley3 wrote: Talkeetna is a beautiful area. We used it as a staging area for mountain rescue training with our helicopters when I was stationed at Fairbanks. Don't know if they still do that. They do! Pretty much all of the flightseeing stuff around the Alaska range takes off from Talkeetna. The ranger station here is also the check in point for anybody climbing Denali as well. Fun fact: The mayor here is an 18 year old cat named Stubbs. I used to be part of the army Chinook helicopters there. Was a flight engineer/crewmember at that time. wlkelley3 wrote: I used to be part of the army Chinook helicopters there. Was a flight engineer/crewmember at that time. Still flying up here! 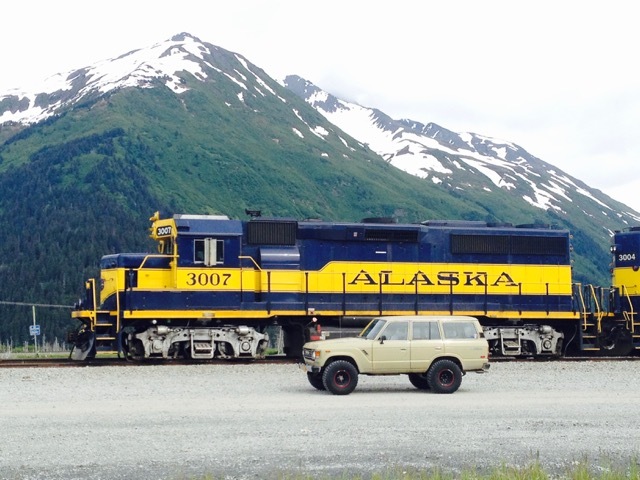 They just started delivering supplies to the base camp at Denali. The truck is going through some rehab currently. New rear pinion(the cause of the loud clang sound), u joints, wheel spacers, valve adjustments and oil leaks fixed. The oil leaks were coming from the front timing cover and fuel pump gasket. 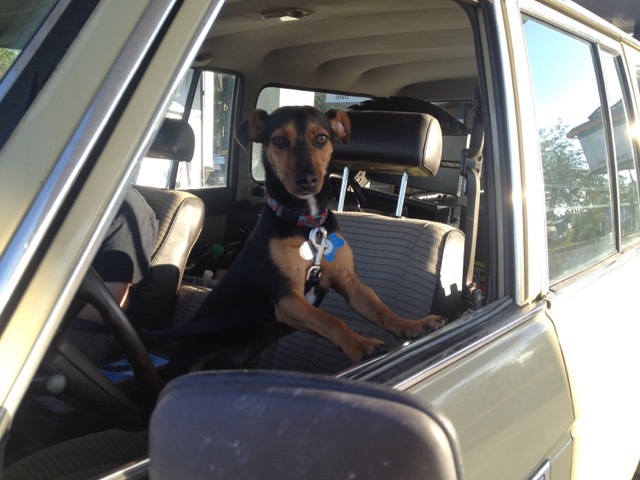 Hopefully this week the work will be done and the truck can start going out for the camping season. 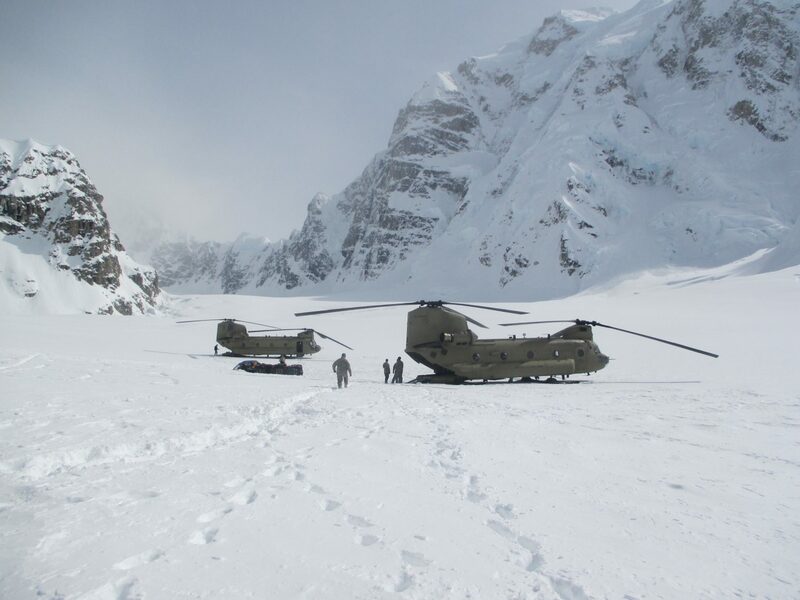 One day I will get up there to Alaska..
Yep, that's what I did when I was stationed there. Beautiful flying. After getting the U joints and some oil leaks taken care of, its time to hit the road this summer. 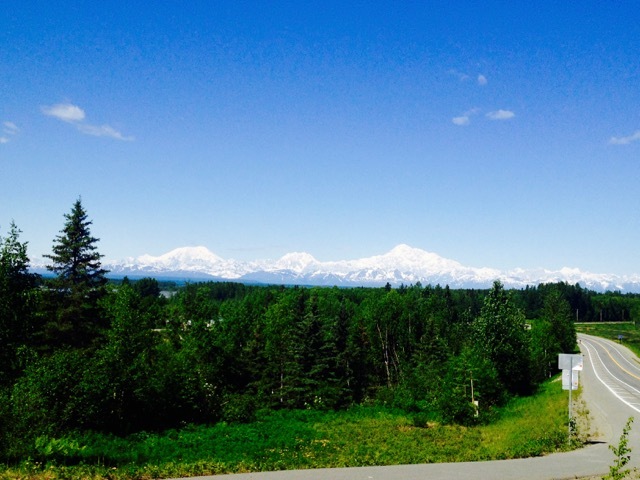 Leaving home in Talkeetna we got a great view of the big 3 (Foraker, Hunter, Denali). Is this a build thread too? I guess I'll add a few updates in this thread too if y'all don't mind. 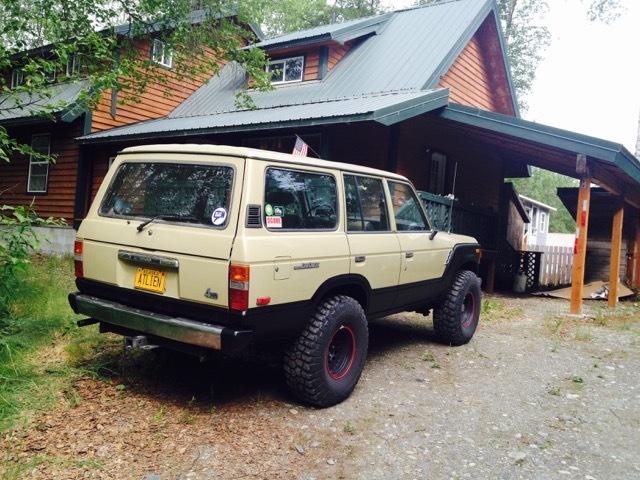 Updates to the Cruiser are mostly cosmetic this weekend. 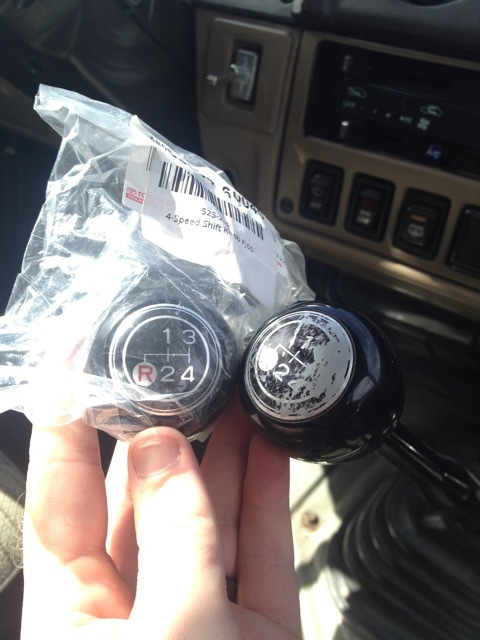 New shift knob since the old worn one bothered me. New old stock stuff like this makes my day. 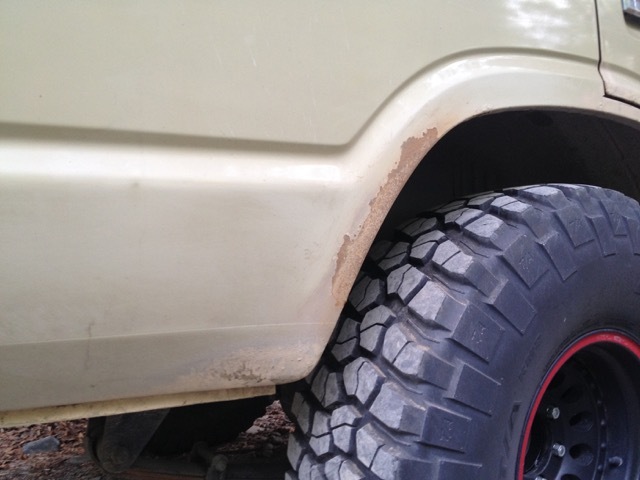 Then sanding all the lower body that was getting beat up and crusty and spraying it with bedliner. I really wanted to get rid of the little rust bubbles before winter this year because I dont have a good indoor spot to work on it. Looking good! Man that's some beautiful country! 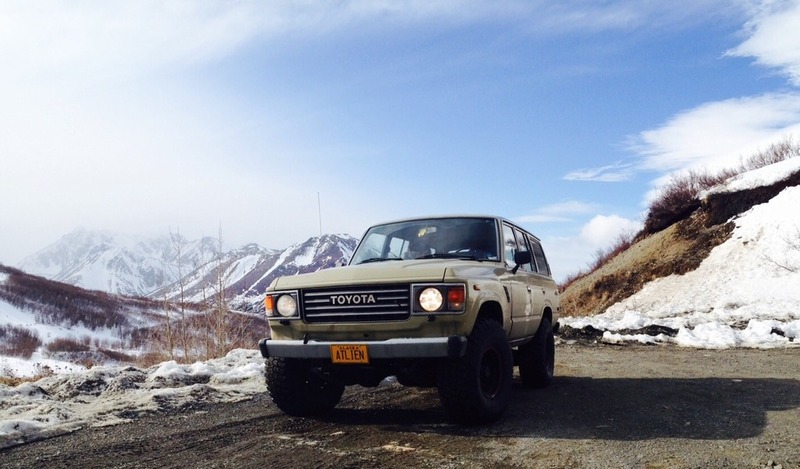 Love Alaska, love the FJ. Keep up the good work! Now that freezing temperatures and snow are back to south central AK, I thought I would add a little bit more to this album. 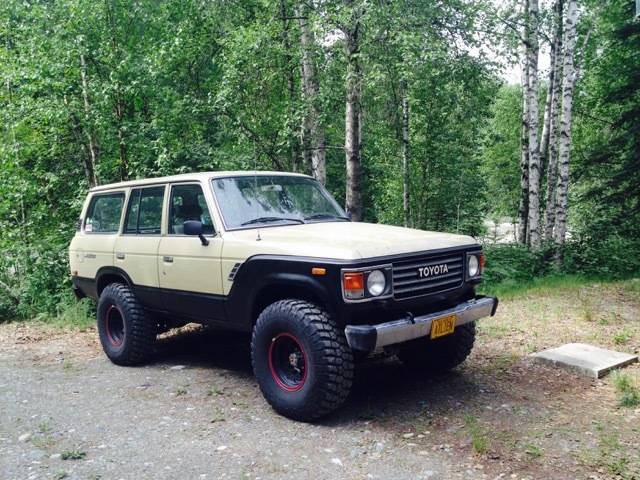 The Cruiser is running great and we did several excursions this summer. 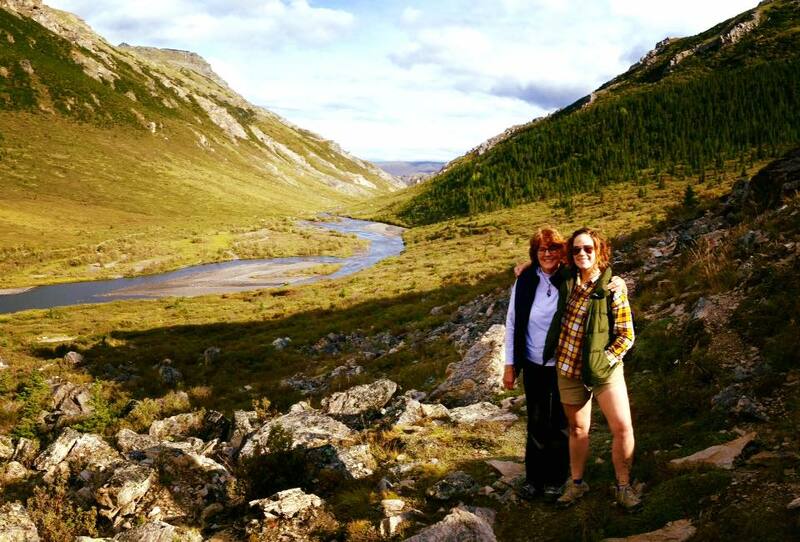 We finally made it out to Valdez in early August and then took my mother-in-law to Denali National Park just up the road for her visit in late August. 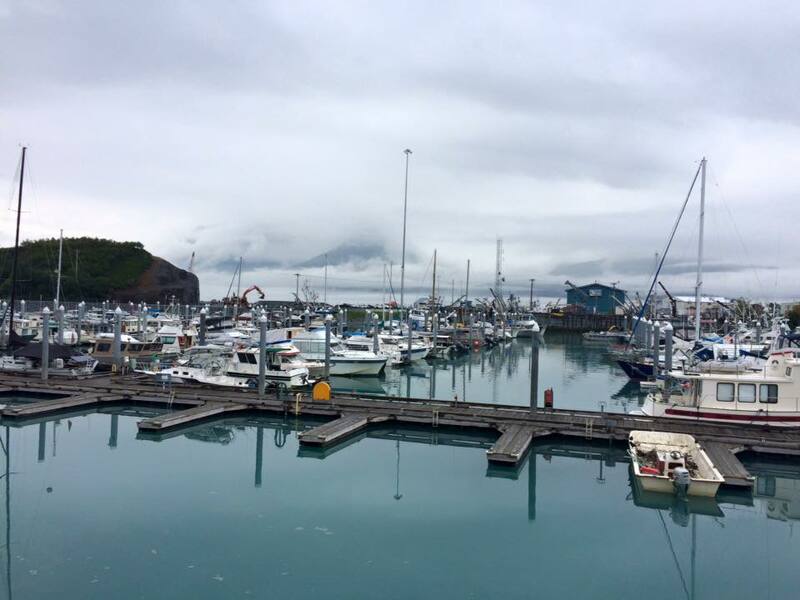 Valdez, AK is one of the most beautiful places in all of AK. Pronounced Val DEEZ up here. As in Exxon Valdez, yeah that one. This is where the oil pipeline terminates and gets shipped out from. Prince William Sound is gorgeous and I'm glad the area has rebounded in the last 27 years. 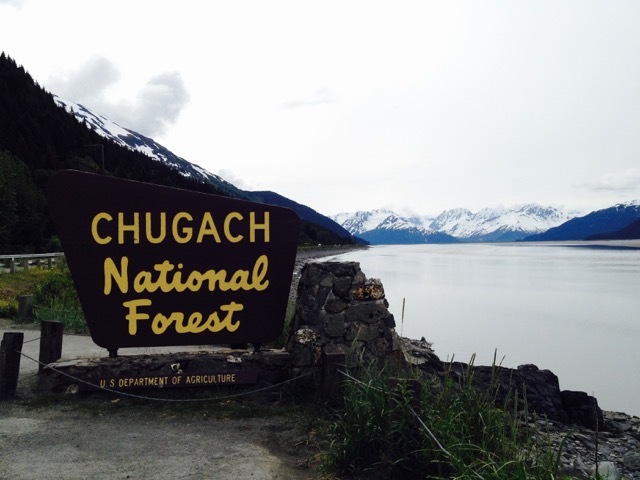 Giant mountains, snowiest city in the US (300-500 inches a year), and great seafood. Paddled out to Valdez glacier: And "in" the glacier. 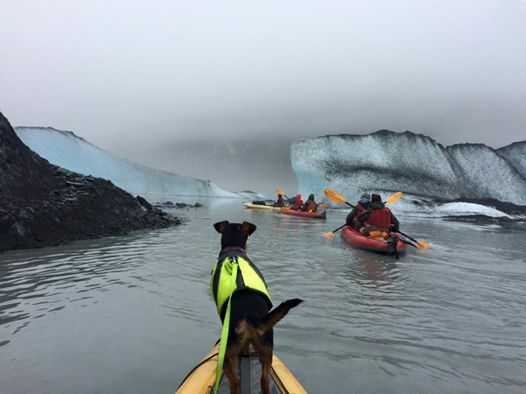 Can you just paddle out to the glacier or is that like a paid tour with a guide? Slippery wrote: Very cool. 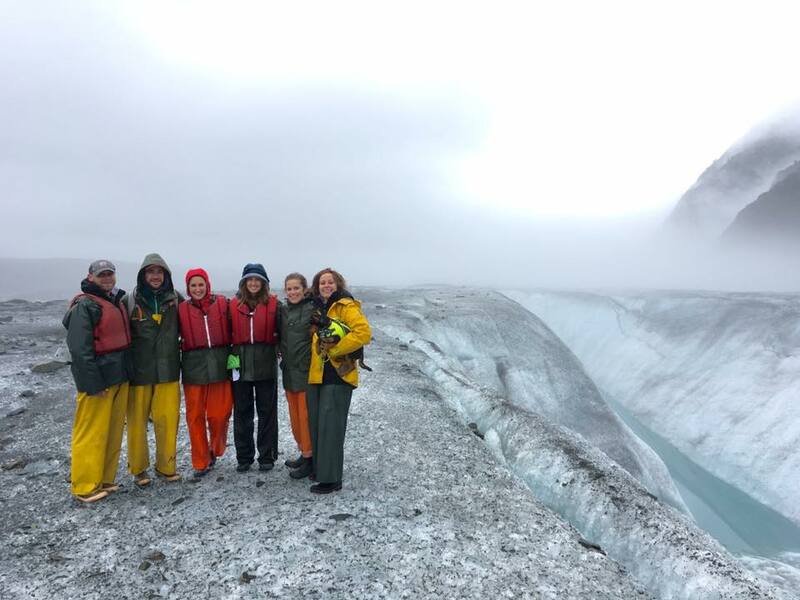 Can you just paddle out to the glacier or is that like a paid tour with a guide? You can do either one! 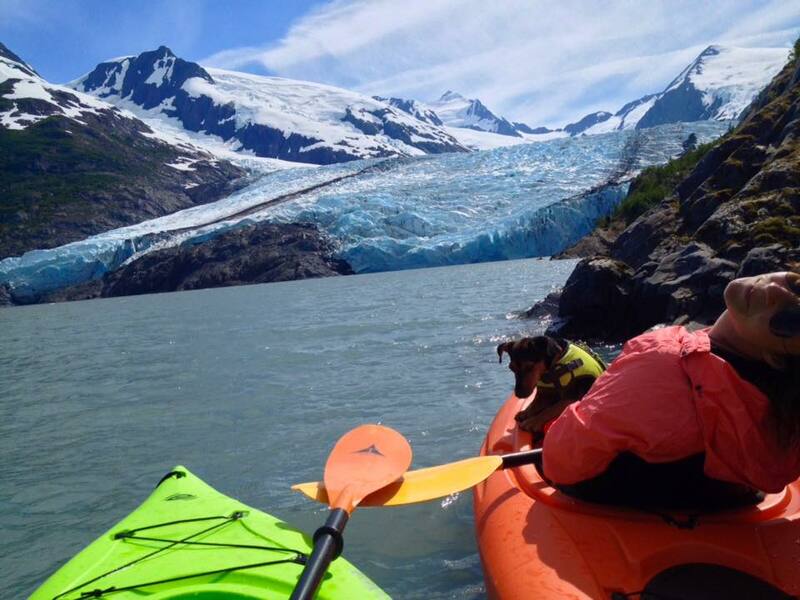 We have our own kayaks and regularly go out to the many glaciers we have in this area. It's public land so we can go out and enjoy it. Some are easier to get to than others but getting there is half the fun. For the most part, the outdoorsmen and women out here are very good stewards of the environment and don't want to ruin it for everyone. 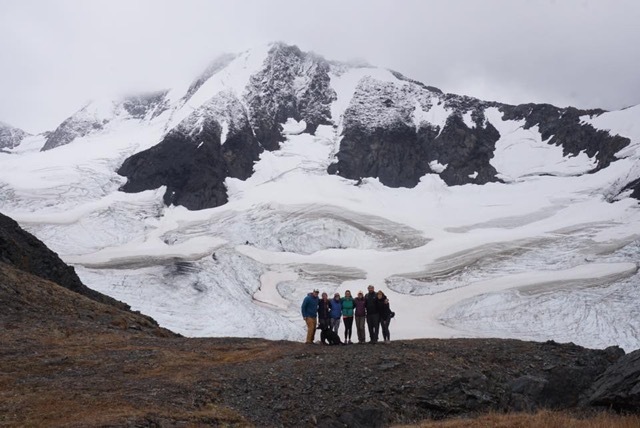 Mrs. Crankwalk's hike to Crow Pass with Milk Glacier in the background in September Chugach Mountains. 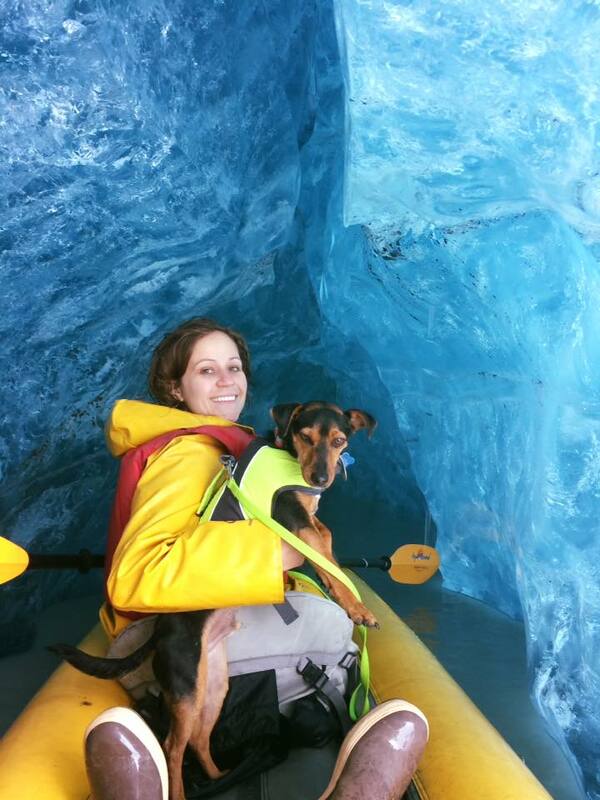 Wow, that picture paddling inside the glacier is amazing. Mrs. Crank walk looks like she's having a great time...Your dog not so much - the facial expression is priceless! ManhattanM (fka NY535iManual) wrote: Wow, that picture paddling inside the glacier is amazing. Mrs. Crank walk looks like she's having a great time...Your dog not so much - the facial expression is priceless! He comes everywhere. He'd rather be wet than sitting on the couch destroying stuff while we are gone. Breakfast at the Roadhouse this morning after voting. No lines and paper ballots. That's just some fall termination dust. 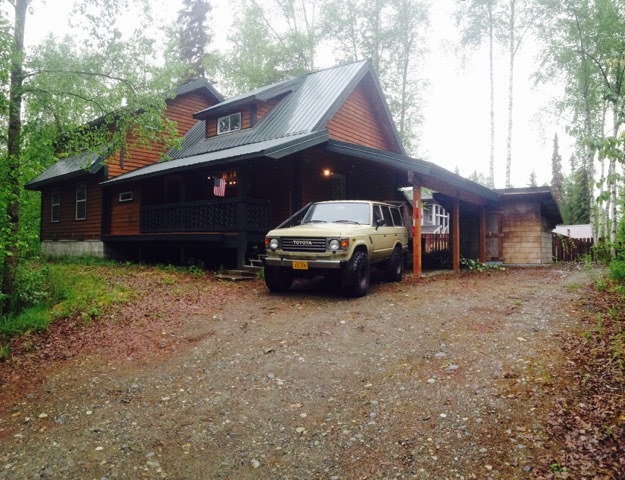 130+ inches for Talkeetna is the norm. I'll be busting out the skis in a week or so. Yeah Yeah Yeah, we have zero snow yet so far. And nearly never get lowland snow in Seattle. Hopefully it hurries up, Ive got a ski trip planned for thanksgiving already. Loving that pic at the Roadhouse. Very cool!